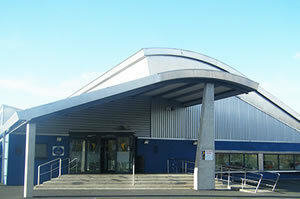 The Coral Leisure Centre is located in Wicklow, about a 40-minute drive from south of Dublin, Ireland. 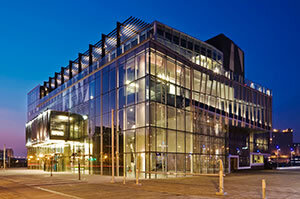 The facility has a 25-meter deck level swimming pool and a 9-meter learner pool, along with a sauna and a steam room. It also offers a fully equipped gymnasium and an aerobics studio. RA refurbished cement factory built in 1954, Espace 400e served as the center of the festivities marking the 400th anniversary of Quebec. The structure is currently home to a Parks Canada discovery center and serves as an exposition center. Formerly FNB Stadium, Soccer City Stadium in Johannesburg underwent a major upgrade for the 2010 FIFA World Cup by transforming the 80,000-seat venue into a unique structure inspired by the shape of an African pot. 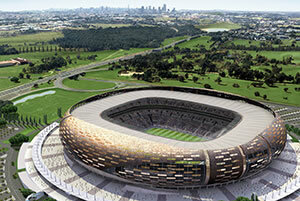 Soccer City is currently the largest stadium in Africa with a capacity of 94,700 seats. 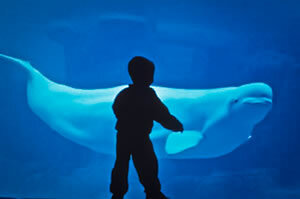 Officially Canada's first public aquarium, the Vancouver Aquarium opened on June 15, 1956 and has grown to become the largest aquarium in Canada, and one of the five largest in North America.